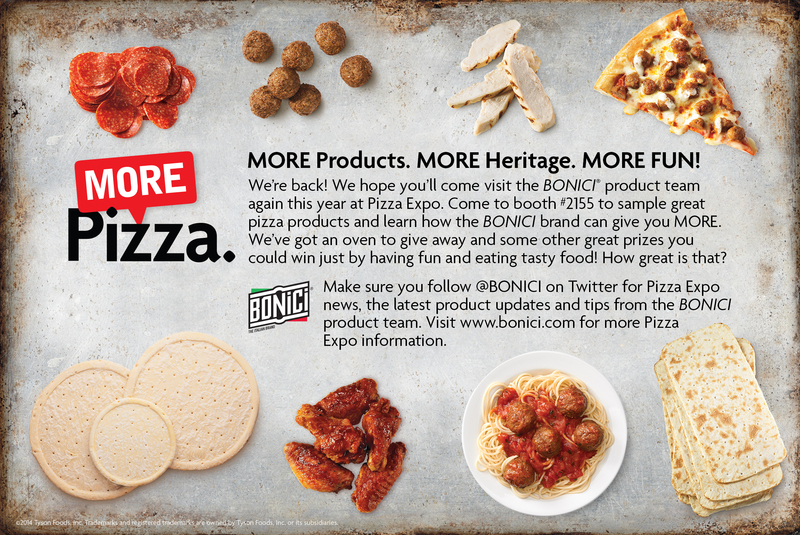 Grow the BONICI brand awareness among pizza restaurant owners who have an affection for all things authentic. Incorporate the overall Tyson Food Service brand message that the company is more than just chicken. 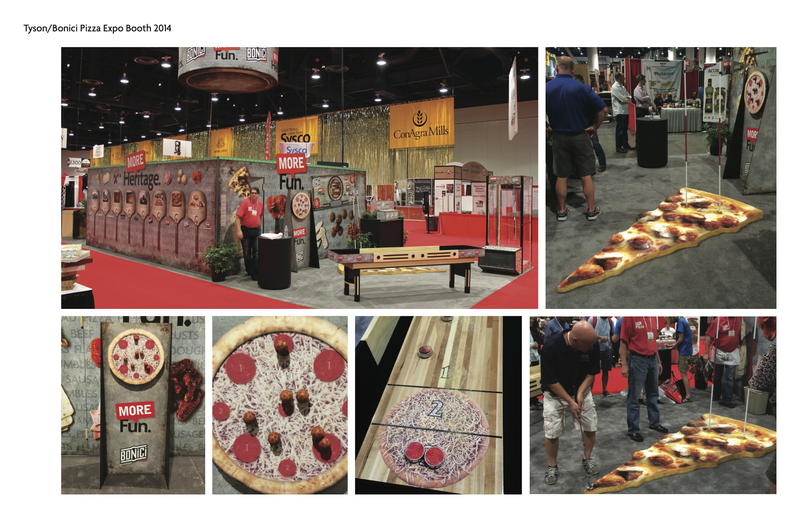 Pizza Expo is one of the largest trade shows for pizza in the country. Pizza operators from all over the country descend on Las Vegas to see the latest and greatest from manufacturers. 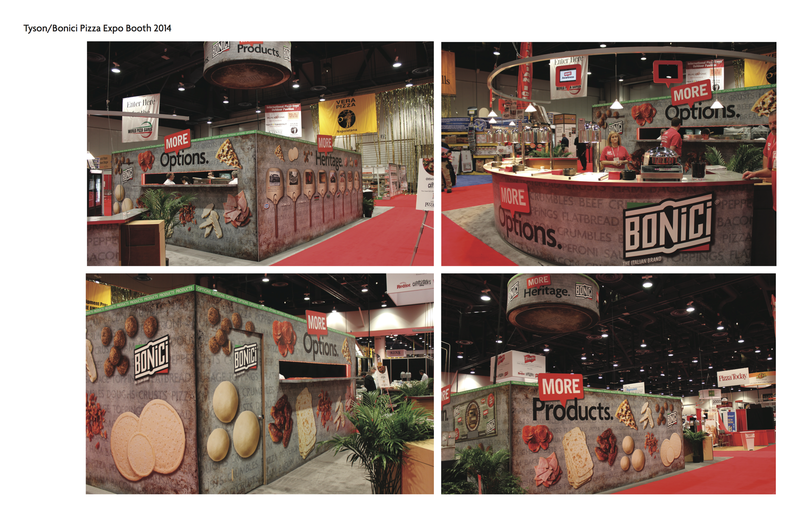 The booth design incorporated pizza products cooked and served at the booth, the heritage story of the BONICI brand, the BONICI products and the idea that since food is fun, we should have some fun.